We have already shared with you the steps to flash Android 7.1 Developer Preview on Nexus 6P and Nexus 5X using factory images. If you want to root Android 7.1 developer preview on your Nexus 6P or 5X, follow this guide for all the steps and required files to root Android 7.1 NPF10C. Your Nexus 6P and 5X should be updated to NPF10C Android 7.1. Download SuperSU v2.78 for Nexus on your PC. Download TWRP recovery and save to the android-sdk-windows\platform-tools directory on your computer. 1: Extract the downloaded Fastboot file in android-sdk-windows\platform-tools directory on your PC. Create directory if not already there. 2: Connect your Nexus 6P or 5X to your computer via USB. 3: Copy and paste SuperSu file to your device’s SD card root folder. 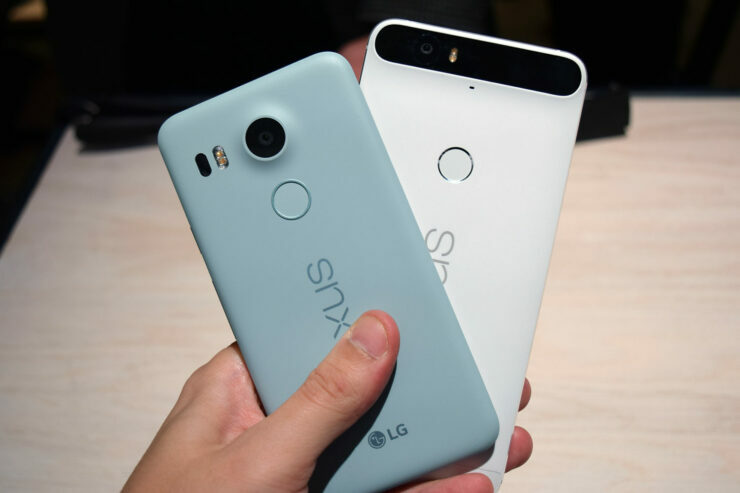 4: Turn your Nexus off. 5: Enter the Bootloader mode: power your Nexus on while pressing and holding Volume Down + Power keys. Nexus 6P: fastboot flash recovery twrp-3.0.2-0-angler.img – replace with twrp-3.0.2-2 if you used the latest recovery version. 7: Once done, enter recovery mode by choosing Recovery from the Fastboot menu. 8: In the recovery mode (CWM or TWRP), scroll to flash zip from SD card > choose zip from sdcard. 9: Using the volume keys, locate SuperSU zip file and select it. Confirm the installation process. 10: After installation is completed, go to +++++Go Back and reboot your Nexus device. First boot may take a few minutes. Your Nexus is now rooted on Android 7.1 Developer Preview. You can verify the root with any Root Checker app.